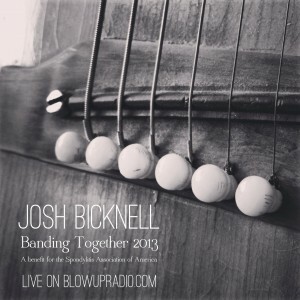 In case you missed it, you can now stream my performance on www.blowupradio.com as part of Banding Together 2018. 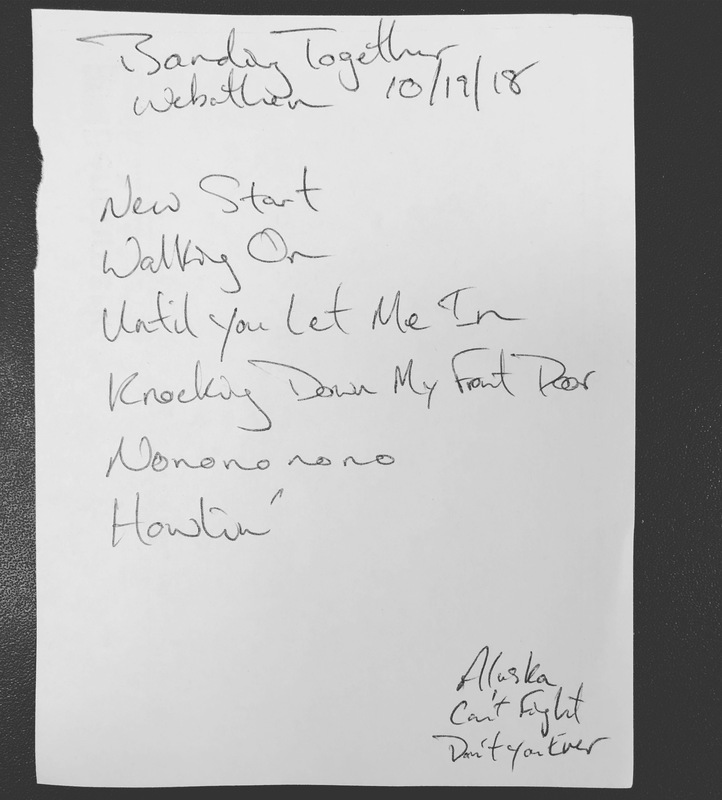 On Friday, October 19th I traveled to Blow Up Radio’s HQ to perform as part of Banding Together 2018, a benefit for the Spondylitis Association of America. 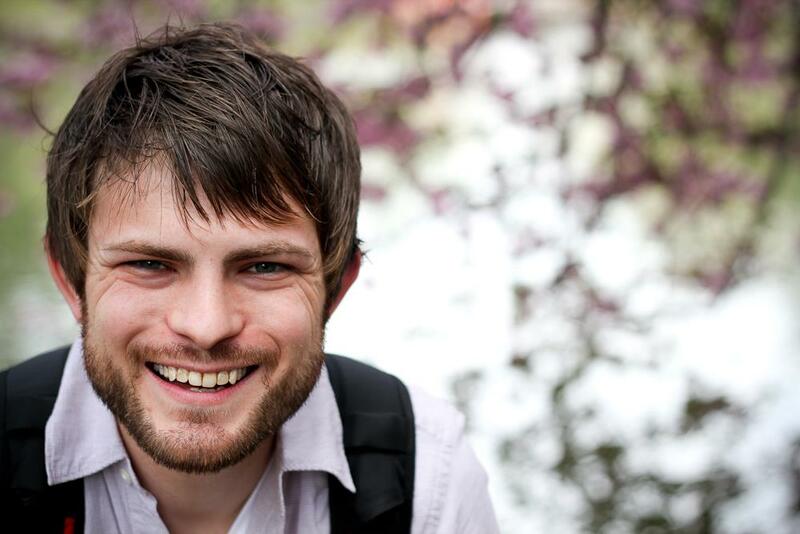 This entry was posted in performance, recording, solo and tagged acoustic, banding together, blowupradio, performance, recording, singer/songwriter on November 7, 2018 by josh. 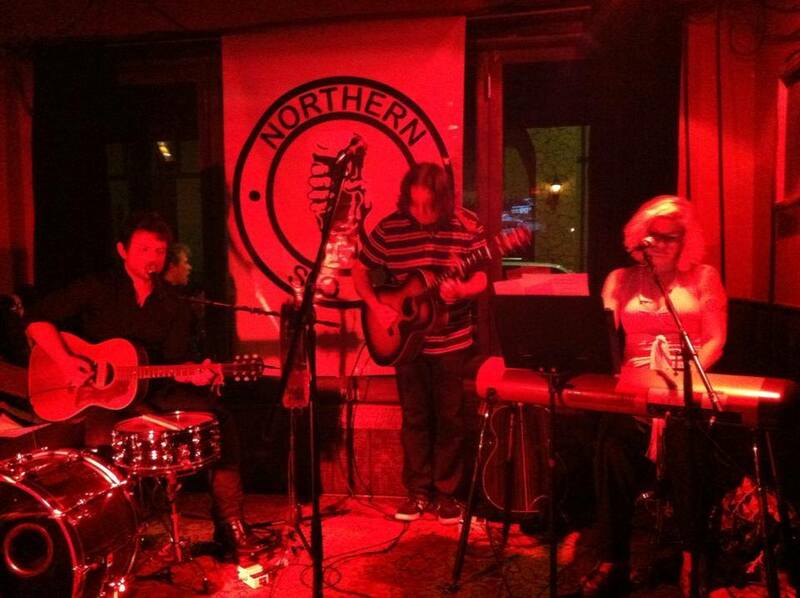 Back in 2013, Christina Alessi, Jonathan Andrew, and I decided to play a show together at Northern Soul in Hoboken, NJ (photo above). The idea was to collaborate on each other’s music. We each wrote our own songs, but thought it would be fun to back each other up as we traded the lead spot. 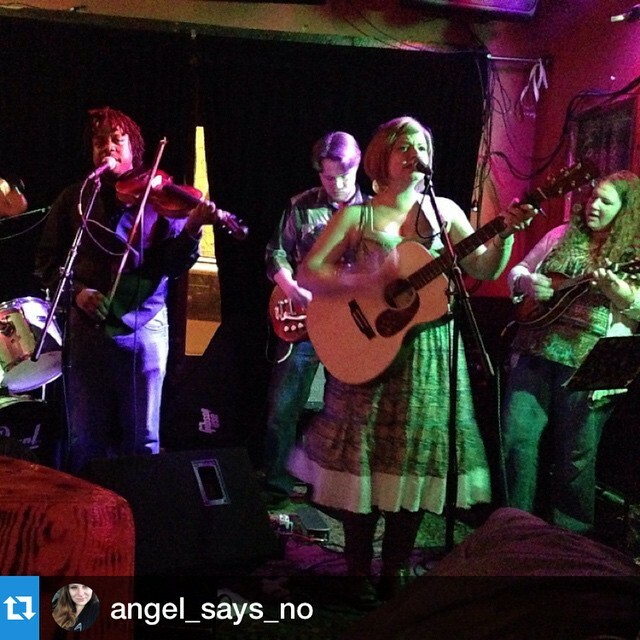 Little did we know this would be start of the band we play in now – Christina Alessi and the Toll Collectors! On Saturday, we get to return to original form in a performance at Espresso Joe’s in Keyport, NJ. Jonathan, Christina, and I will perform as part of a Guitar Pull, hosted by BlowUpRadio.com. This will be a fun show and allow us all to play our songs individually, but with a little help from each other. Also, it’s Lazlo’s birthday! He’s the mastermind behind blowupradio.comand we can’t wait to help him celebrate! This entry was posted in performance and tagged blowupradio, christina alessi, guitar pull, jonathan Andrew, nj, singer/songwriter on May 11, 2017 by josh. I have a brand new recording to share with you today! It’s a newly-recorded version of my song “Walking On,” featuring Ty Tuschen on electric guitar. It’s part of Banding Together 2016, a compilation album to benefit the Spondylitis Association Of America. All proceeds will go to fund research and provide programs and services for people suffering from Spondylitis, a genetic rheumatoid arthritic condition that causes inflammation and fusion in the vertebrae of the spine, affecting more than 2.7 million adults in the United States. This compilation album features 32 tracks of original music from local musicians and was curated by Lazlo at BlowUpRadio.com. Download the compilation album to support the cause today! Thank you so much for supporting this cause! This entry was posted in recording and tagged album, banding together, blowupradio, recording on September 29, 2016 by josh. 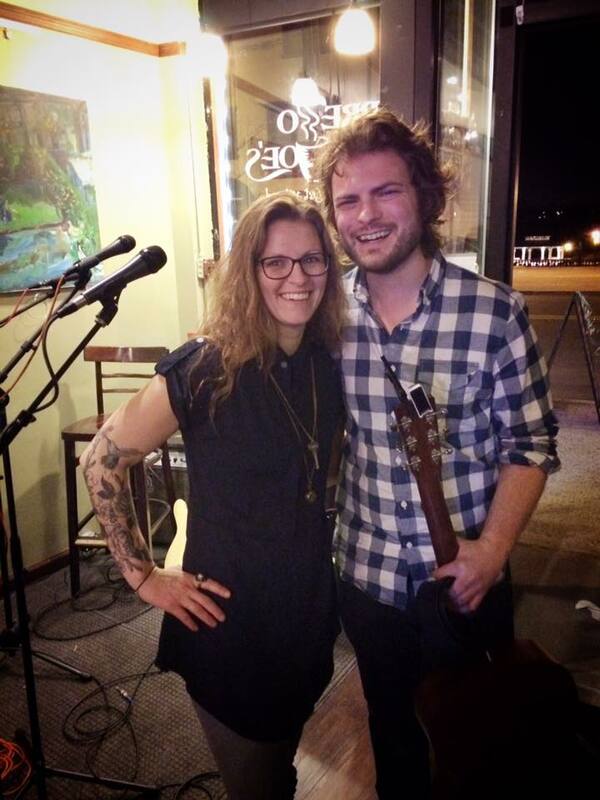 What a great night of music at Espresso Joe’s! Lazlo’s Guitar Pulls are always unique. This time, he brought together Jason Kundrath, Paul Rosevear, and me. We played our songs in round robin style, trading stories and memories as we went. Jason snapped a cool-looking photo. My sister and I, post gig. And finally, here was the setlist. 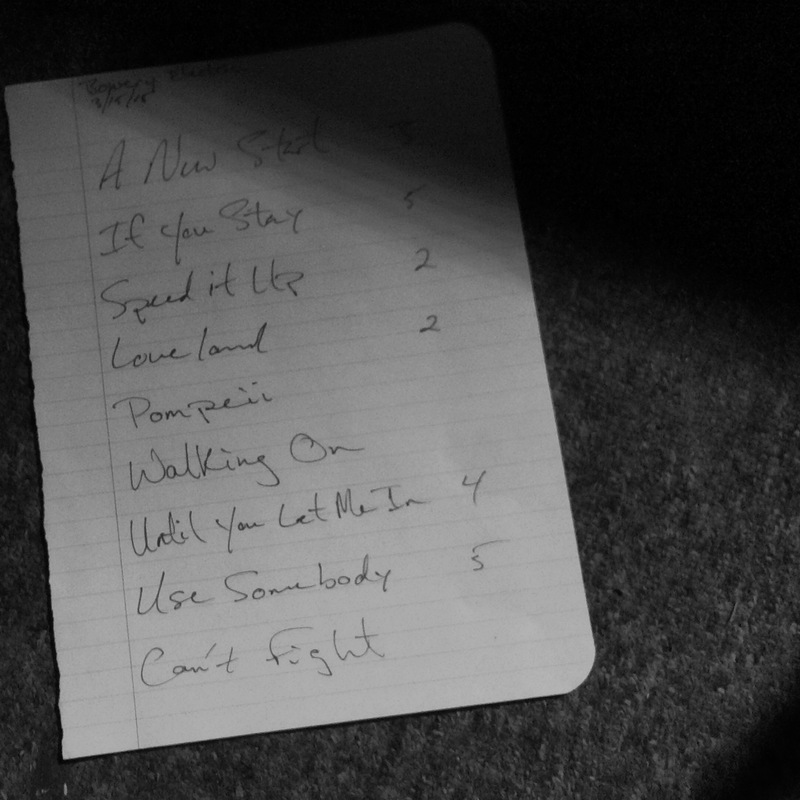 This entry was posted in recap, setlists and tagged blowupradio, recap, setlist, singer/songwriter on March 14, 2016 by josh. Last year, I wrote about the recording process for Banding Together 2014 and how it evolved from 2012-2014. In 2015, the process took another step forward. Here’s how. In 2012, I put a stereo field mic on my dining room table, sat in a chair, and let it happen. In 2013, I learned a bit about mic placement and I stood up to get some more energy on the recording. In 2014, I abandoned the stereo field mic approach and instead used two mics. This gave me better control over the balance between the voice and guitar. As I set up to record Banding Together 2015, I started with the same approach as 2014. And then at the last minute, just before hitting record, out of the corner of my eye, I saw that same stereo field mic I had used in 2012 and 2013. I had a thought! Though I liked the sound of the 2014 recording, everything sounded “up close.” As the listener, I didn’t get the sense I was in the room. There was no ambience, no space, no room sound. So at the last minute, I grabbed the stereo mic, placed it on the other side of the room, and hit record. I didn’t expect to use it in the final recording at all, but I thought it would be a nice experiment. I had changed my approach each year since 2012. It just didn’t feel right to take the same exact approach. Well… what was just an experiment turned into a revelation. I was shock when, after having finished recording my performance, I dropped the stereo field mic’s audio into the mix. It made it sound so much bigger! There was a bit of space between the source of the sound and the mic. The room acted as a natural mixing board, blending the sounds of my acoustic guitar and my voice in a natural way. Combining this sound source with the close up sources made the overall recording sound fatter and larger. 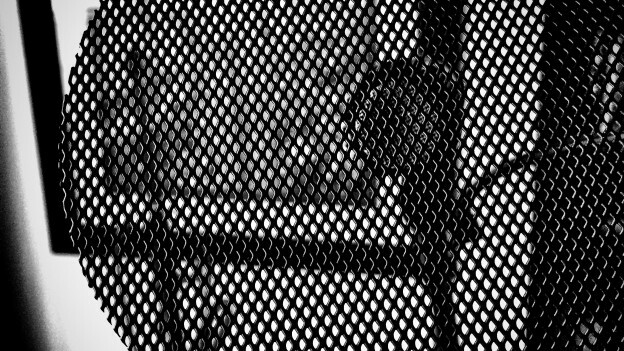 It sounded like you were there in the room with me. Which was exactly what I was going for! Having that room sound alongside the closer mics on my voice and guitar really gave me the best of both worlds. I had the detail and presence I needed from the close ups and I also had the room and a sense of space from the room mic. And of course, after all this, I made a connection I probably should’ve made from the beginning. It’s a lot like recording drums! The close up mics are for the detail, but the drums don’t sound complete until you hear what they sound like in the room. The room is essential! Just like anything you are trying to capture acoustically, the room can make all the difference. P.S. If you’re interested in listening to the final recording, it’s available on iTunes, Spotify, and everywhere else. Check it out here. 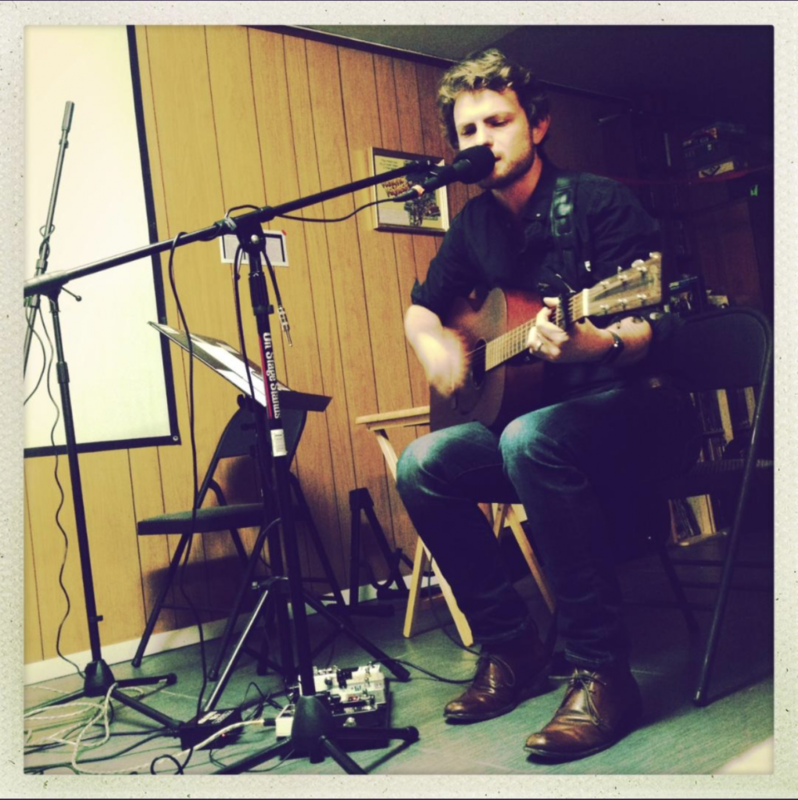 This entry was posted in blog, recording, solo and tagged banding together, blowupradio, recording, singer/songwriter on March 10, 2016 by josh. 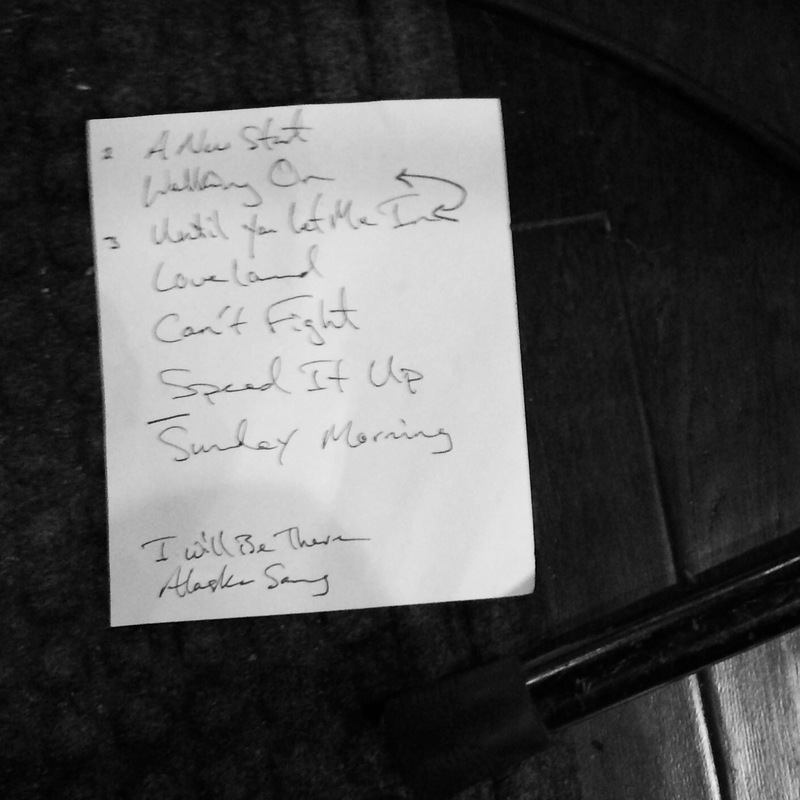 My latest album – Banding Together 2015 – is a live album. Not live in the sense that it was recorded at a show or even in front of a live audience (other than my cats). It’s live in the sense that the performance is live. I played my guitar and sang each song from the beginning to the end. And that’s what you hear on the album. In this particular case, live was a requirement. The Banding Together webathon had to be performed live because that was the nature of the event. But even if that requirement wasn’t there, would I have done it differently? Would I have multi-tracked? I don’t think so. Not that I wouldn’t ever record that way, but there’s something special to me about being able to hear a singer/songwriter perform songs in the most intimate setting. I don’t believe you can truly capture that sound unless it’s recorded as a live performance. When the performance is recorded live – even if it’s captured in a studio – it feels like you’re in the room with the musician. That’s what the early Bob Dylan records – like The Freewheeling Bob Dylan – make me feel. That’s what Damien Rice’s first record makes me feel. It’s the best part about stripped-down, live-performance recordings. They allow us to hear the music as written. It’s the reason MTV’s Unplugged was so popular, right? We’re able to hear if the song stands on its own. 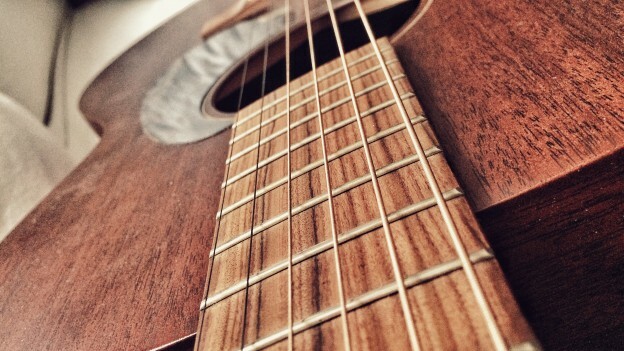 We can focus on the melody, lyrics, chord changes, and intent of the songwriter. We’re not distracted by studio effects or instrumentation. We want to feel the natural ebb and flow of the music as expressed through the dynamics of the performer. It’s not often we hear true dynamics in today’s recordings. The effect of dynamics is often achieved by adding or subtracting instruments, but rarely does the overall loudness change. Yet if you’re listening to one person play in front of you live, the player’s dynamics come through so clearly. This is something I wanted to capture in Banding Together 2015. I want you to feel like I sat down on your couch and sang you my songs with all my heart. I hope that feeling comes through when you listen to it. This entry was posted in blog, creative process, recording and tagged banding together, blowupradio, recording on February 16, 2016 by josh. The good news is that the listenership for Banding Together is up this year! The bad news is that donations are down. Don’t worry. The webathon is re-airing through Friday evening, so there is still time to make your donation to the Spondylitis Association of America. Ankylosing spondylitis is a form of progressive arthritis due to chronic inflammation of the joints in the spine. It can be very painful to those who are affected by it. P.S. If you missed the first airing of my set, you can listen to it again on Friday, October 23rd at 11am! This entry was posted in radio, solo and tagged banding together, blowupradio, singer/songwriter, spondylitis on October 21, 2015 by josh. I’m happy to announce that I’ll be performing as part of Banding Together, a webathon to benefit the Spondylitis Association of America. October 16-19th. This year marks my fourth year of playing this webathon as a solo acoustic artist. Lazlo is the man behind this benefit. He is someone who works tirelessly in service of independent artists. His internet radio station Blowupradio is one of the longest-running stations on the web. Long before you could stream Pandora on your iPhone, long before iPhones even existed, you could stream his radio station over the Internet. This benefit is a personal one for him, as his wife suffers from Ankylosing Spondylitis. In his spirit of giving, Lazlo will be giving a ton of his time and all donations to the Spondylitis Association of America. Throughout the webathon there will be a link on blowupradio.com to donate to the SAA. Besides the release of positive endorphins from donating to a worthy cause? Everyone who donates will receive a compilation album to download. It includes special tracks from artists performing during the webathon. I’m adding a live performance of my song “A New Start” to this compilation. It will not be available anywhere else. 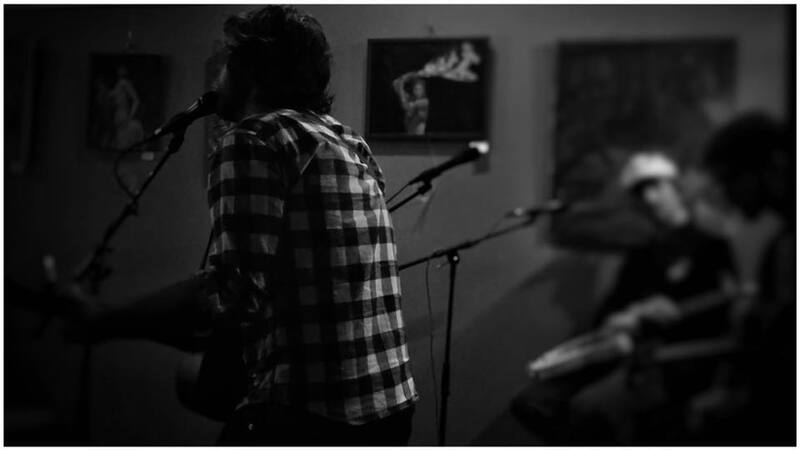 The recording was captured this past year at Espresso Joe’s coffee house during one of Lazlo’s Guitar Pull events. More posts about this will be forthcoming. In the meantime, feel free to stream and download my performances from the three previous years. 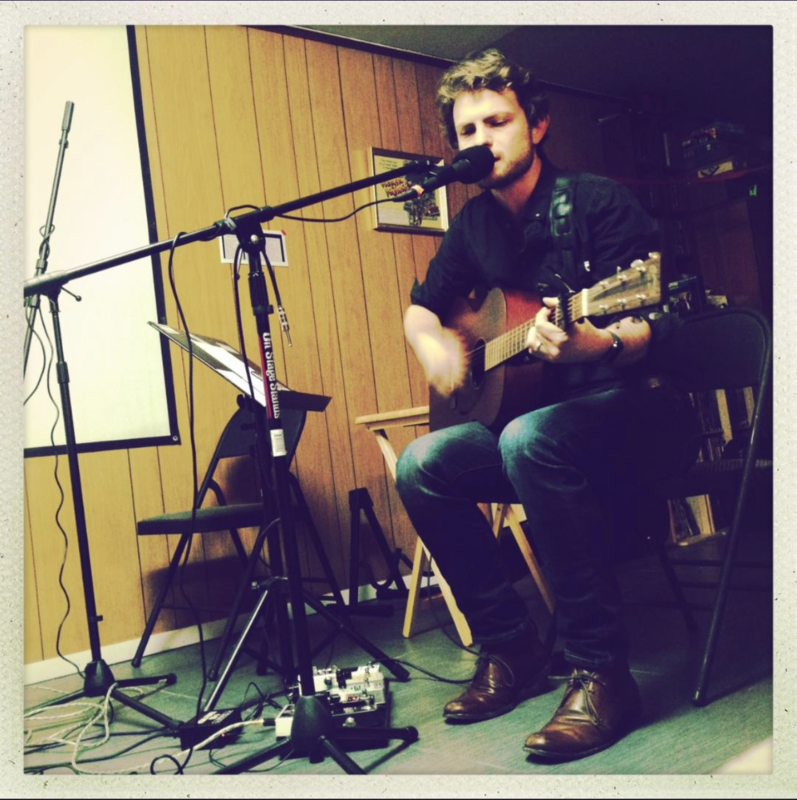 This entry was posted in blog, performance, solo and tagged acoustic, banding together, benefit, blowupradio, performance, spondylitis, webathon on October 6, 2015 by josh. Four gigs. Each unique in their own way. 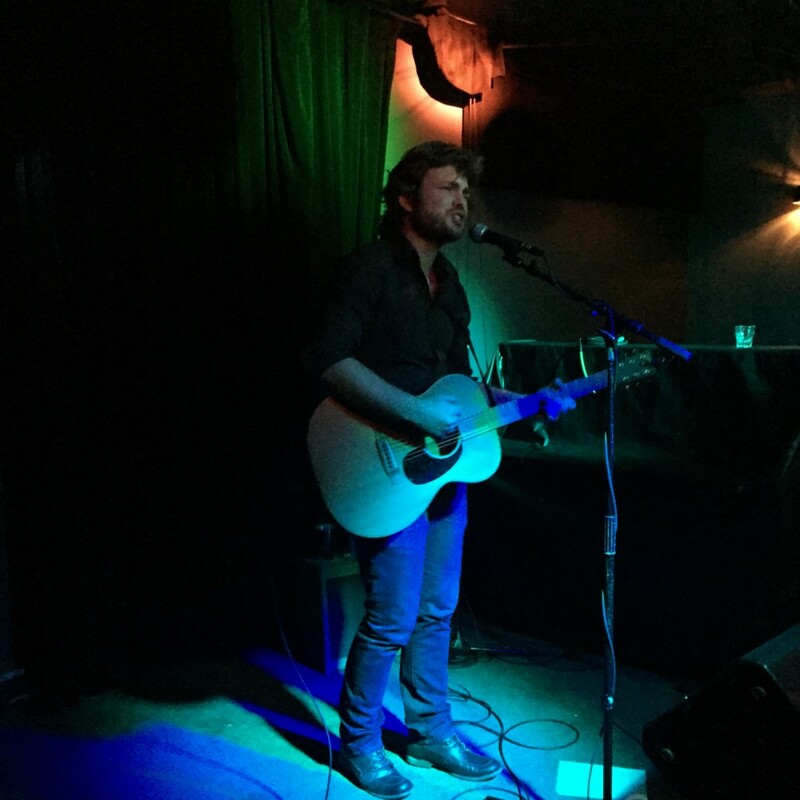 First, a solo acoustic show at Bowery Electric. Sunday, March 15th. This place had a great vibe and an even better sound system and sound guy. 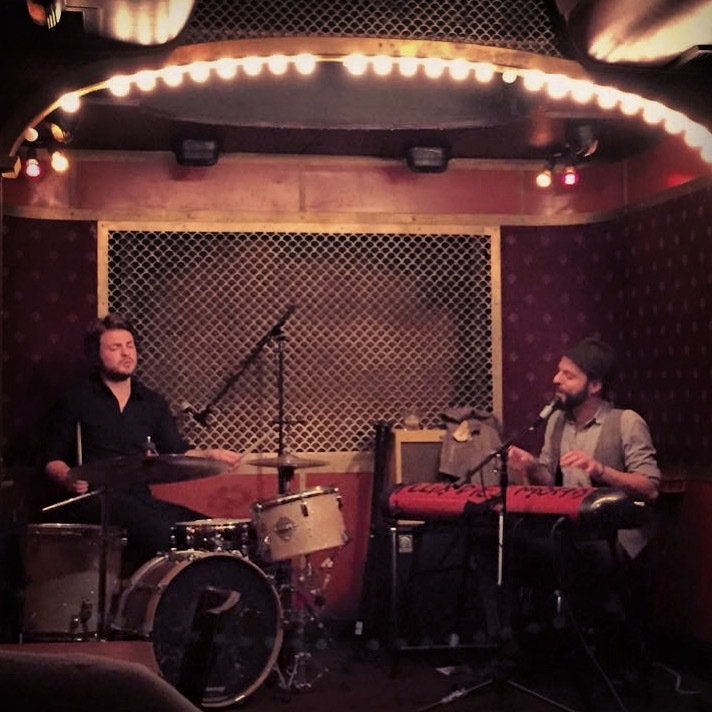 Second, a duo performance with singer/songwriter Shayfer James at the picturesque Pete’s Candy Store in Brooklyn, NY. Pete’s Candy Store with Shayfer James. 3/18/15. 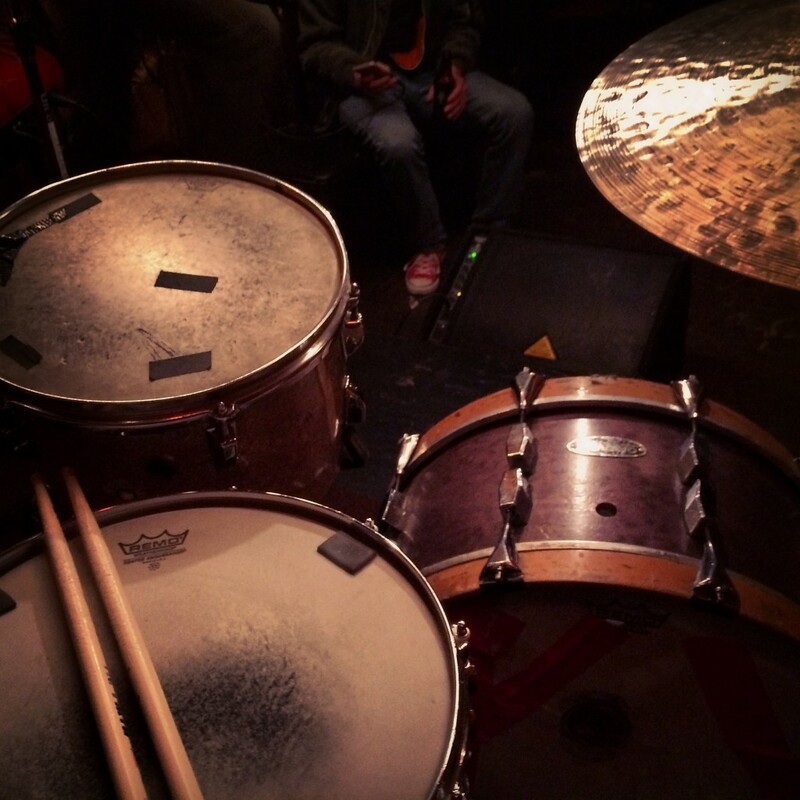 My view from behind the kit. Pete’s Candy Store. 3/18/15. Setlist. Pete’s Candy Store. 3/18/15. 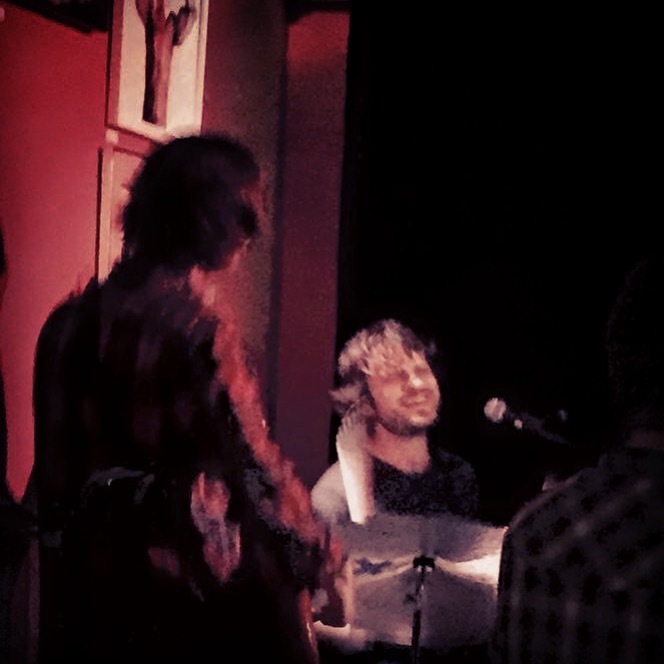 Third, I played with Christina Alessi and the Toll Collectors at Northern Soul in Hoboken, NJ. It’s always a blast to play with these guys. This was such a great show! Christina and the Toll Collectors. Northern Soul. 3/19/15. Jonathan Andrew and I rocking out. Northern Soul. 3/19/15. Christina and the Toll Collectors. 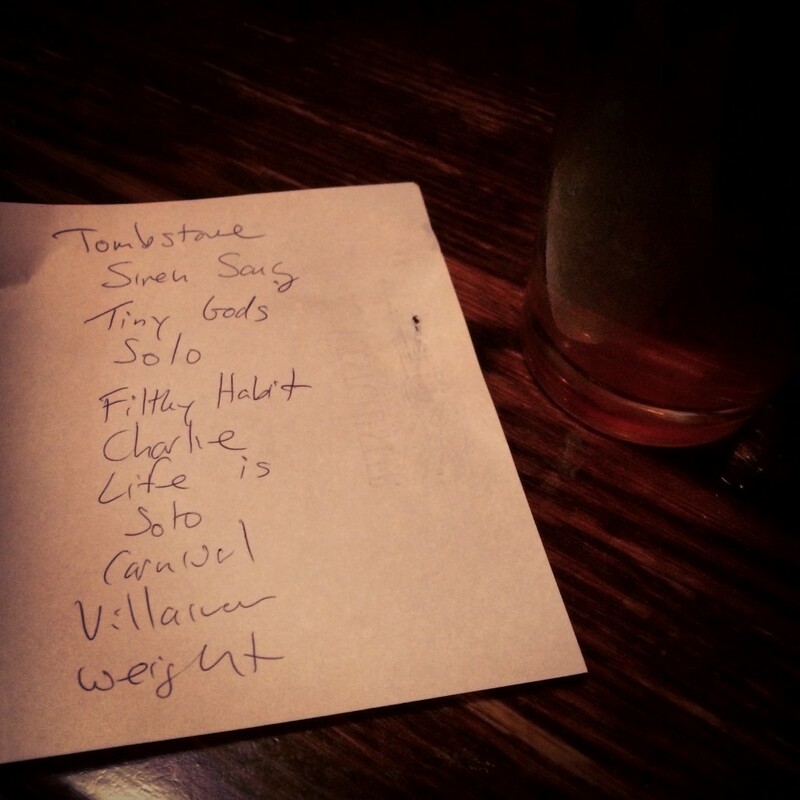 Setlist. 3/19/15. I finished up the week with a unique show on Saturday, March 21st – A Guitar Pull sponsored by blowupradio.com. I had a fantastic time getting to meet and share the stage with David Bronson and Mike Regrets. We took turns playing songs, talking about writing, recording, and everything in between. 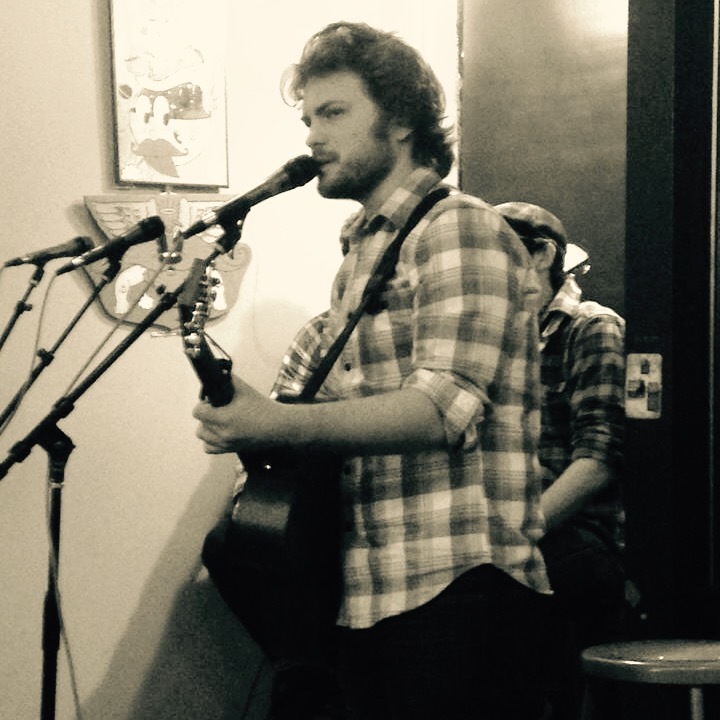 I always enjoy playing at Espresso Joe’s. Not only because they hosted my photography for a month back in November, but because the audience is top notch. They sit, listen, and pay attention to the show for the entire duration. It’s such a joy to see places like this still exist and I’m always so happy to play there. Performing at Espresso Joe’s. 3/21/15. 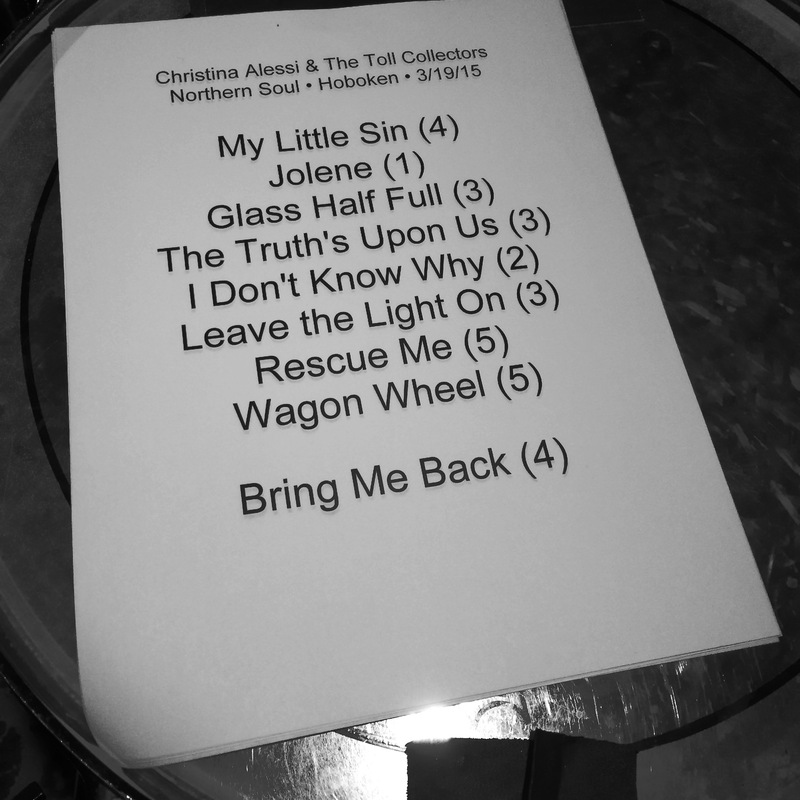 This entry was posted in recap, setlists, Shayfer James, Toll Collectors and tagged acoustic, blowupradio, christina alessi, drums, nj, nyc, recap, setlist, shayfer james, singer/songwriter on March 24, 2015 by josh. I was pleasantly surprised and quite honored to see this tweet from Lazlo of Blow Up Radio last night. My live album Banding Together 2013, was named #5 in Lazlo’s list of Top 10 Live Albums of 2013! I am so honored to be among a diverse list that also includes Dream Theater, Guster, and the Counting Crows. Wow. And remember, you can pay what you want for Banding Together 2013 right here. This entry was posted in recording, solo and tagged acoustic, album, banding together, bicknell, blowupradio, singer/songwriter on December 12, 2013 by josh.